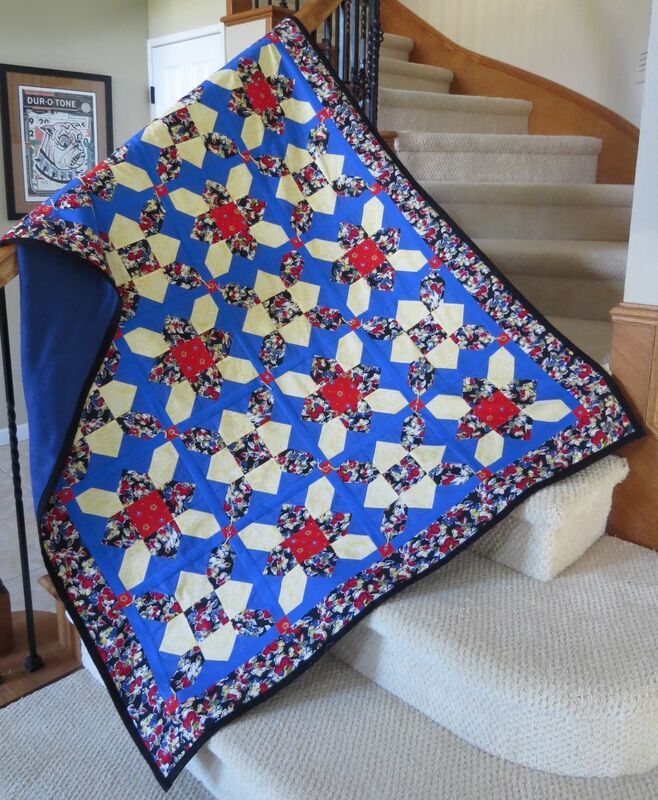 This entry was posted in Quilt Projects and tagged charity, foster, foster kids, prairie flower, quanket, quilt by jeanswenson. Bookmark the permalink. This is a cool block. I’ve made it, or something quite like it, for a sister-in-law who loves gardening. I really like your use of 2 different color/value placements. It makes it quite interesting, even though the block is fairly simple. Good work! and I really like the chaining effect, which is enhanced by the small corner blocks in the sashing. Thanks! I added the sashing and corner blocks to further aid my efforts to mitigate the X’s. Overall, while it was not quite the Prairie Flowers look that I had set out to make, I was quite happy with the end result.